Demarai Gray has dedicated his match-winning goal in Saturday’s emotional 1-0 victory at Cardiff City to Leicester City’s late Chairman, Vichai Srivaddhanaprabha. 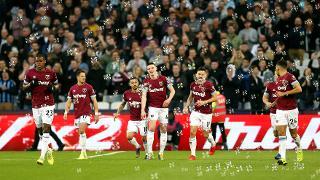 In City’s first Premier League fixture since the tragic passing of their Chairman, Gray’s 55th minute strike prompted unforgettable scenes among the 3,000-strong travelling away support. In celebration, Gray unveiled an undershirt with the words ‘For Khun Vichai’ printed on the front before, at full-time, players and staff joined the fans pitchside to acknowledge the life of a man who made the dreams of all Leicester City supporters a reality. “The fans and everyone involved in Leicester, even the whole football family, have been massively supportive to us,” Gray said after the match. “The togetherness we’ve shown throughout the week kept everyone with it and together. I’m not really surprised that we’ve won today, because I know what this dressing room’s about. “You’ve seen the support from the fans, what they’re doing outside King Power Stadium and I think we owe ourselves a lot of credit. On the goal, a hugely significant moment for Gray personally, the England international added: “Everything was for Vichai today and that’s who I dedicate my goal to. “I don’t think there will be many more moments in my career - if any - like that. I’m grateful to be a part of this dressing room. “Pretty much every Saturday, he was there in the changing room, with a smile on his face and he had a beautiful spirit. The support of the Blue Army has always been a source of strength for the Club’s players, but their backing on Saturday, Gray says, is something all the players will remember for a long time. He continued: “The fans are… I don’t know what to say about them, they’re unbelievable. “They were singing all the way through. That 10 minutes at the end, I had a few moments when I had to just look at them and we’re grateful to have a set of fans like this. “I said to Madders [James Maddison] when he came off today, it’s the fans that make this… they’re like a 12th man on the pitch. That’s not only with what’s gone on, that’s every week. “Over the last week, it’s been beautiful to see what they’ve done. Today, on the pitch, and what they’ve done with the tribute and what’s outside the stadium, we’re are really grateful. “Collectively, Leicester, as one, as one family, you can really see what we’re about as a club and I think now we’ve got to play every week for Vichai.